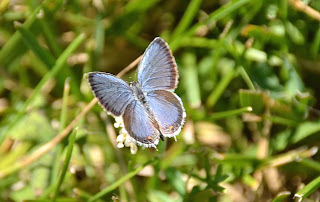 I have seen a lot of eastern tailed blue butterflies lately, like the one above. They are small butterflies with a wingspan of about an inch, that's across when open, so sitting like this it's only about half an inch tall. You have to get close to see details. Click to enlarge. My favorite detail is the ringed antennae, alternately black and white. Pretty! 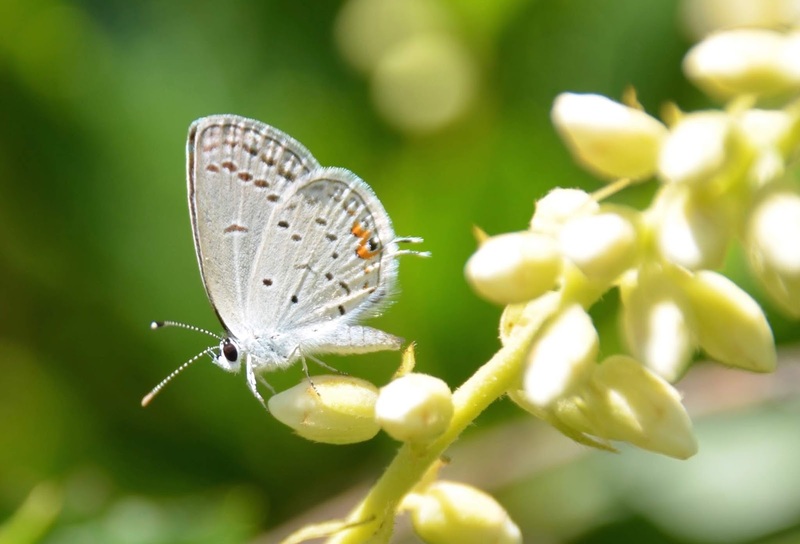 Also note that it has a small thin "tail" on each hindwing; when perched the butterfly typically moves its hind wings and the tails move up and down. The butterfly also sports three orange dots on the lower surface of the hindwing. 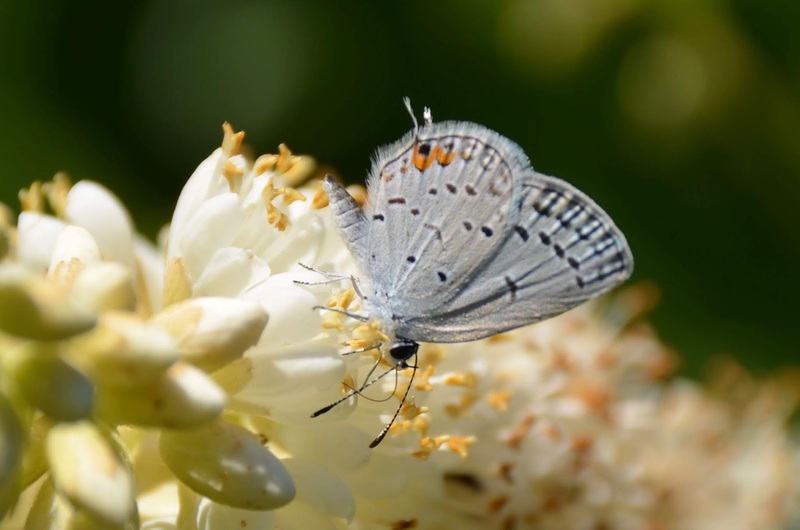 Eastern tailed blues are legume specialists. The females lay eggs on a variety of leguminous plants like vetch and clover for the caterpillars to eat. Eastern tailed blues usually perch with their wings closed. This guy would not open up all the way -- but you can see his nice colors. Males are blue on top and females are brown or gray above. And they can eat head down!